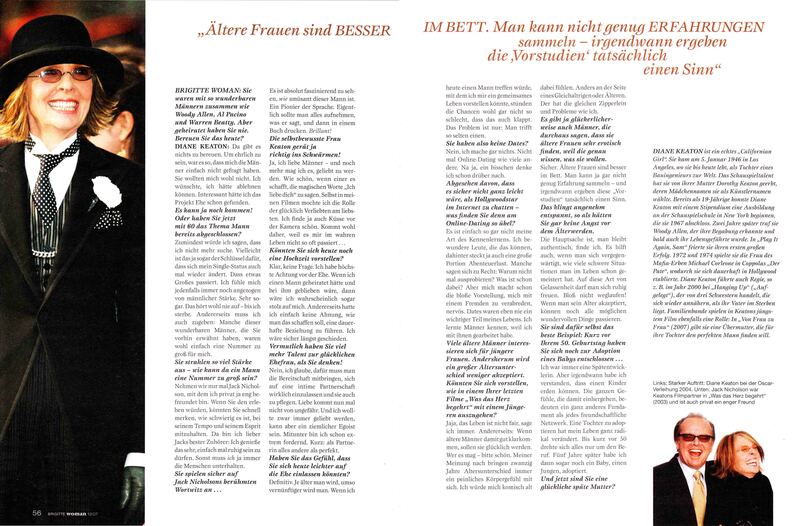 From 1999 to 2008, I wrote a couple of interviews a year for the German magazine BRIGITTE, by direct request from an editor who then retired. Their favorite subject was GEORGE CLOONEY. See above my February 2007 interview. Sometimes i wrote for their sister publication, BRIGITTE WOMAN. 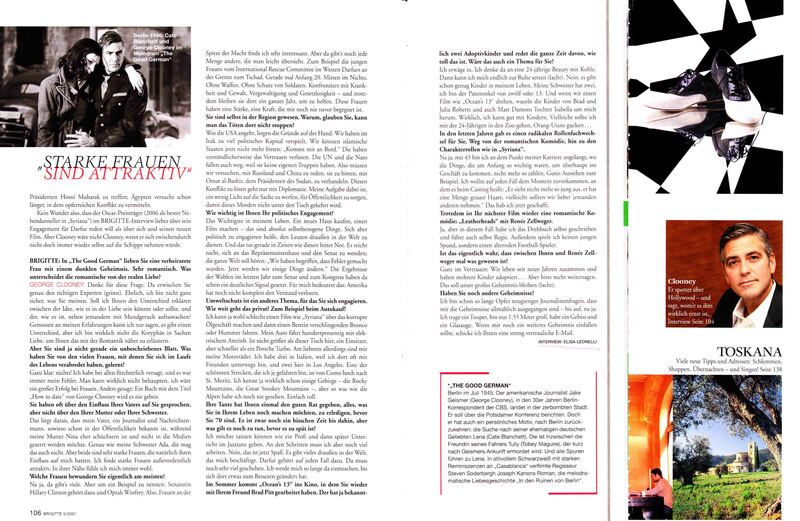 See below my November 2007 interview with DIANE KEATON. 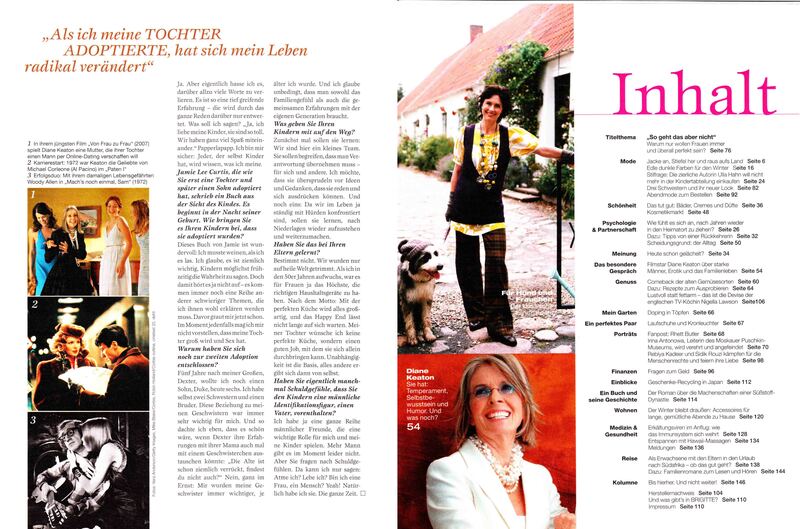 I also contributed to the German edition of MARIE CLAIRE from 2000 to 2003, before they folded.